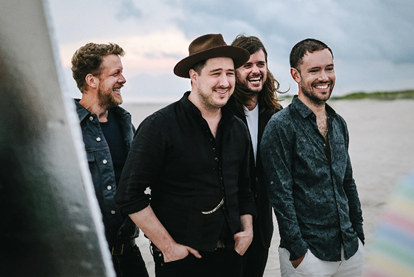 Following the release of their new album Delta, out today, Mumford and Sons have just announced that they will be hosting a series of signing events for fans in Belfast, Glasgow and Manchester respectively. Kick starting in Belfast this Sunday followed by signings in Glasgow and Manchester on Tuesday and Wednesday, the album launch events offer the band a chance to mark their new musical milestone just as they embark on their mammoth worldwide tour. Mumford and Sons are a two time Brit and Grammy Award winning group and have also received Ivor Novello, Q and Billboard Music Awards certifying their stellar success and mass global appeal.